The stepping down of Donna Karan from DKNY marked an era of change for the New York City-based fashion house. Along with new creative directors and a brand refresh, a website design was the last step to resurrecting the company back to it’s prime. Our goal was to integrate their new branding throughout the site experience, combat the antiquated fashion rollout calendar, and build brand loyalty among customers. 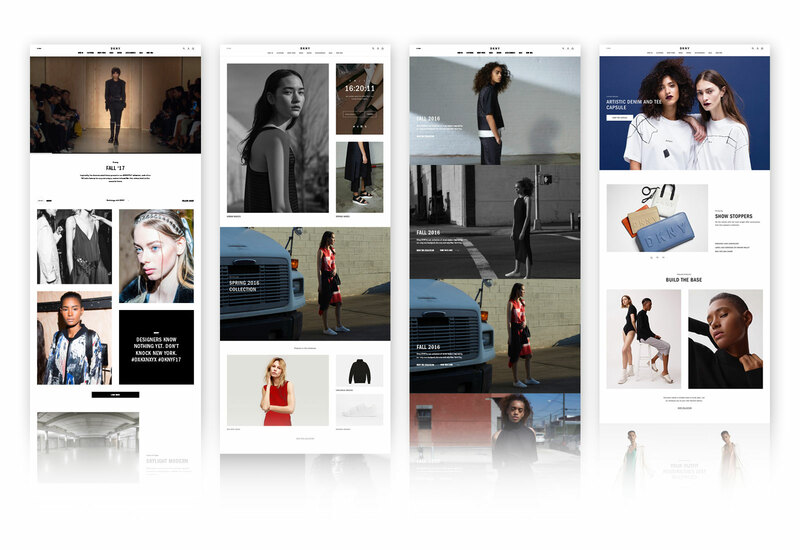 A modular homepage design allows content to easily adapt based on the traditional fashion commerce cycles: runway, pre-release, release, and post-release. Interactions create surprise and delight, while also seamlessly transitioning users to a new page. 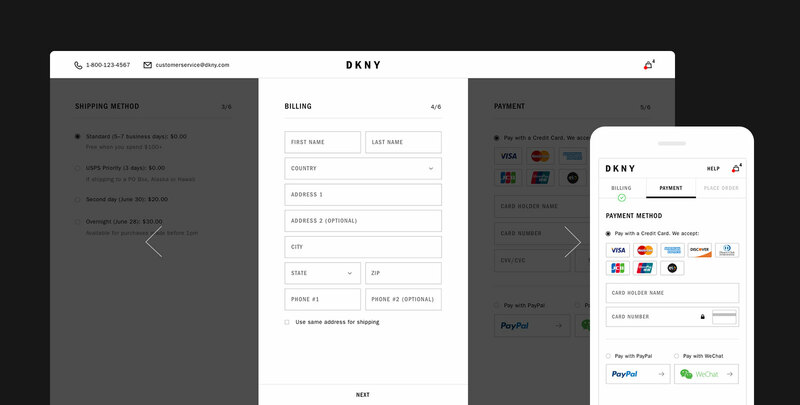 In order to decrease cart abandonment, a one page checkout process was designed to put users at ease.